If you’re using a furnace, you’ll find a big yellow sticker on it that shows the unit’s AFUE (Annual Fuel Utilization Efficiency) rating. This rating shows you a percentage of how efficiently your furnace converts natural gas into useable heat. The higher the rating, the better the furnace. 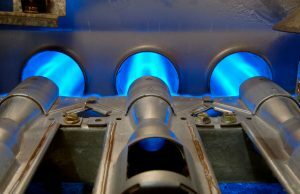 Top of the line high-efficiency furnaces aren’t always within budget, so some homeowners might opt for lower efficiency when moving into a new home. They also might install them if they need a replacement installed quickly. Some years later, however, it will make sense to upgrade to a higher efficiency unit. This is especially true if the furnace’s efficiency rating no longer meets present-day efficiency standards. Making the investment to upgrade in this circumstance might be worth it, but you should speak with a professional of Anaheim HVAC services first. The rule for replacing an old heating system is to calculate the cost of maintaining and running the system. If it exceeds more than 50% of the costs to install the brand-new unit, then you should go with the replacement. Likewise, this is the perfect time not just to replace, but to consider upgrading to a heating system that truly excels. As stated above, heating technology will only advance with time. Today’s satisfactory heater may fall below standards within a few years. By upgrading to much higher efficiency, your investment has a better chance of remaining a contender for its whole lifespan. Upgrading can also come in the form of switching heaters altogether. It would certainly be an upgrade to switch from an unsatisfying heater to one that does what you want it to do. For example, consider the features of a furnace against a ductless heat pump. Although the furnace heats the home just fine, you won’t be able to adjust the temperature in each room. If it’s just you and your partner living in the house most of the year, it can be wasteful to heat every single room in the home. Switching to a ductless system would give you the flexibility and control that you desire in a heating system. Of course, even ductless systems have their drawbacks, so you wouldn’t want to make the decision to switch without speaking to a contractor. If you need help finding the perfect heating system for your home, contact RKM Heating and Air Conditioning today.